Ply, thread count, fabric… oh my! Finding the perfect sheets to go with your new mattress is tough, especially when everything seems to be speaking in code. But the dirty secret is this – shopping for sheets really doesn’t have to be that complex, since what you actually care about is as simple as three things: comfort, cooling, durability. By knowing just what to look for when shopping for new sheets, you can get the perfect blend of all three! But hey, we get it – heading out into the scary world of online sheets shopping can be daunting. 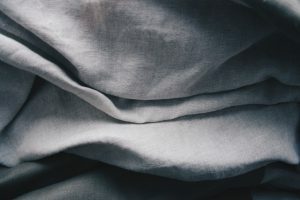 So, the sleep experts at Brooklyn Bedding compiled the most common questions about sheets, and supplied some well-informed answers to each. Voila! Check out the answers to the 5 most common questions when shopping for bedding… plus 5 tips for buying great sheets! What’s the best material for sheets? Cotton is popular because its adaptable, affordable and less likely to cause adverse reactions for sensitive skin. Cotton tends to be more breathable than synthetic fabrics, but also has a tendency to pill or wear more quickly over time. Choose cotton if: You value breathability, don’t mind replacing your sheets more often, and want to save money. Microfiber is a polyester blend, which are more resistant to pilling and often feel much softer than traditional cotton sheets (especially brushed microfiber). That said, polyester as a whole tends to be less breathable, and thus might not be suited for sleepers who tend to sweat at night. Choose microfiber if: You love a soft, buttery feel in your bedding, and you don’t have issues with sleeping hot. Sold? Check out our Brushed Microfiber Sheets. The true rockstar among bedding materials, bamboo is supremely soft, breathable and exceptionally light – but they also tend to be more expensive than cotton and polyester blend sheets. That said, bamboo lasts longer than cotton and sleeps cooler than polyester, so if you’re willing and able to splurge a bit, bamboo might be the right choice for you. Choose bamboo if: You want sheets that are super soft but also super breathable, and aren’t too concerned with cost. Sold? Check out our Bamboo Twill Sheets. What type of weave is best for sheets? Traditional cotton sheets specifically come in a variety of different weaves, which give them an individualized feel. The real difference for cotton sheets is where the cotton itself comes from. Some top-level types are Egyptian or Pima cotton, which are both softer than American upland cotton, a cheaper but rougher variation. Twill sheets have a lustrous and has a sleek feel – a bit like silk. These are especially popular for those that are after a sleek, sophisticated look in their bedding, but want a bit of breathability too. Flannel sheets are also cotton, but have a raised surface that is fluffy, ultra-soft and cozy for a cold winter’s night. They don’t look like much, but for colder climates they can be a lifesaver. If you tend to sleep hot, however, flannel might not be the best choice. Jersey sheets are knit cotton. Imagine sleeping on the fabric of your t-shirts – a bit stretchy, super soft and a bit prone to wrinkles. If you like sleeping on soft, comforting sheets and aren’t too concerned with your sheets looking polished and wrinkle-free, jersey might be your jam. The most common and popular weave is percale sheets. Percale is crisp and durable, owing to its super tight weave, and are those most often found on beds in hotels and bedrooms alike. They’re the ones that give you that cool side when you flip your pillow. Why does ply matter for sheets? Ply is simple: it refers to how many threads are wrapped together to form a single thread. Single-ply fabrics are made with a single thread; double-ply fabrics are made with two threads twisted together to make one thread. As a general rule, single-ply is less opaque and easier to see through… and tend to look a bit on the cheaper side. Double-ply is thicker and tends to look more luxurious or expensive, but can also be less breathable than thinner sheets that are only single-ply. What thread count is the best for sheets? Thread count is the number of vertical and horizontal threads per square inch. What’s most important when it comes to thread count is that a higher thread count does not necessarily make it softer or a better material. In general, you want a count between 300 and 400, but you’ll likely see sheets ranging from 200 to 800. If you’re looking for a lower priced sheet, you’ll find some with thread counts of 180 or 200 that have a nice finish and feel. The higher counts can come from a single-ply fabric or from double-ply fabric. An 800 thread count could be 800 single-ply threads or 400 double-ply threads. You may find counts as high as 1000, but that doesn’t necessarily mean they are the best, most luxurious sheet. Feel the sheet and see if it’s really what you want before you buy. You may find it is too heavy or stiff to be the sheet of your dreams. Are all the types of cotton really all that different? They are! You’re going to find sheets that say Egyptian cotton or Pima cotton. These are certified long-staple cottons made with extra-long fibers for a beautiful finish. The brand name Supima® is also long-stable cotton that’s known for its durability, and Egyptian cotton is breathable and highly absorbent. All that said, even American upland cotton can make a great sheet so long as its paired with the right finish.